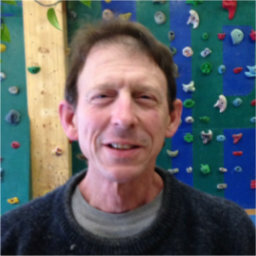 Born and raised in Philadelphia, Bob is the grandaddy here at Spirit Rock Climbing Center and has been here from the beginning. 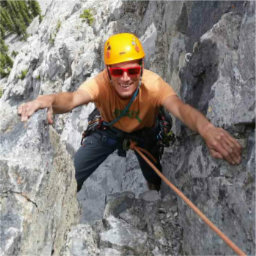 He’s been climbing for over 40 years learning to climb by the School of Hard Knocks; but being self taught didn’t stop him from putting-up over 3 dozen first ascents in 7 countries and becoming the first North American to become a UIAGM Full Mountain Guide in Chamonix. In five trips to Yosemite, Bob has climbed numerous Big Walls, including the First Free Ascent of Lost Arrow Spire and the 3rd ascent of Midnight Lightning. 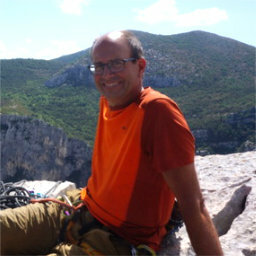 Although an accomplished rock climber, Bob felt better on mixed terrain with an ice axe in one hand and another on rock. At home in the Rockies, his ascents include: Deltaform, Andromeda Strain, a solo of Mt. Robson’s N.Face and 3 seperate ascents of Mt.Temple’s N.Face. In Europe his accomplishments include the N. Faces of the Eiger , Droits. Jorasses, and the Central Pillar of Freney, (Mont. Blanc’s hardest route). As an expeditionary climber, Bob put up 3 Big Wall first ascents in the Ruth Gorge of Alaska with Jim Donini and Mugs Stump, a 7 day ascent of the Cassin Ridge on Mt. McKinley and led the first N.American team to Annapurna South Face, in Nepal. Bob claims his greatest climbing achievement is paying forward and passing on what knowledge and skills he can - especially to Youth. 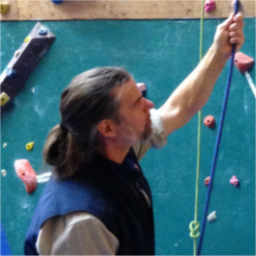 Bob teaches with Kevin Blades, running the Kids Climbing Clubs here at Spirit Rock.